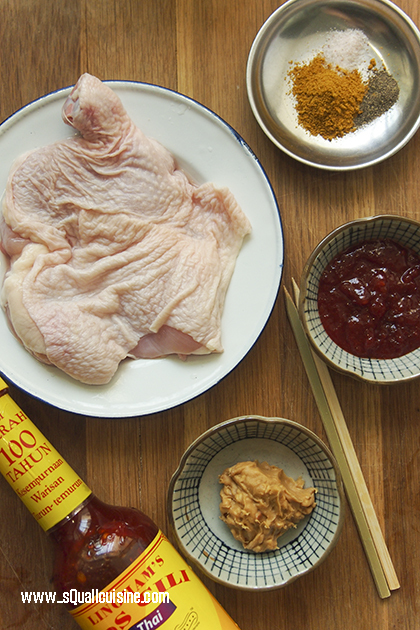 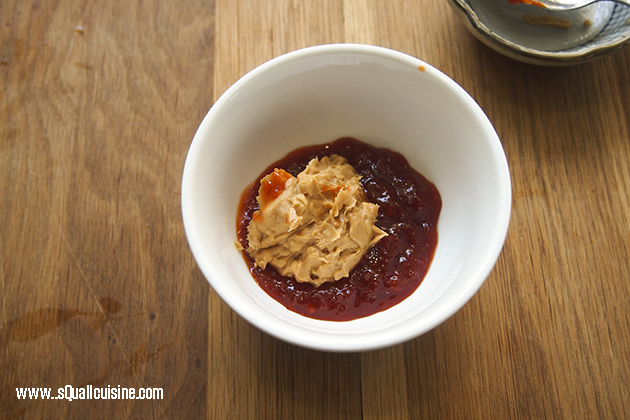 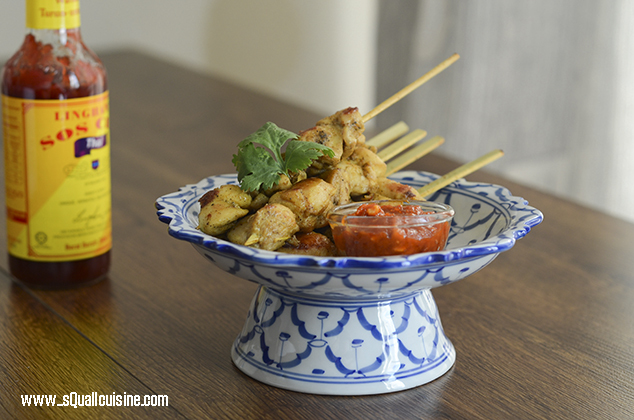 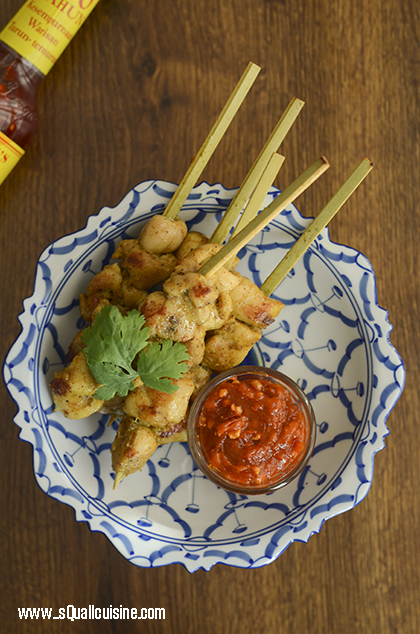 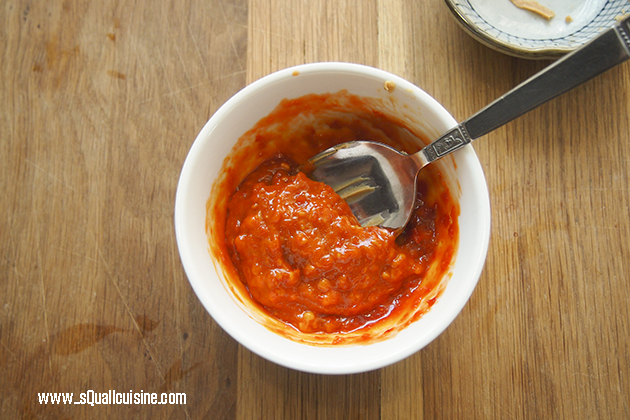 Combine Lingham’s Thai Chili Sauce and peanut butter in a small bowl, stir well. 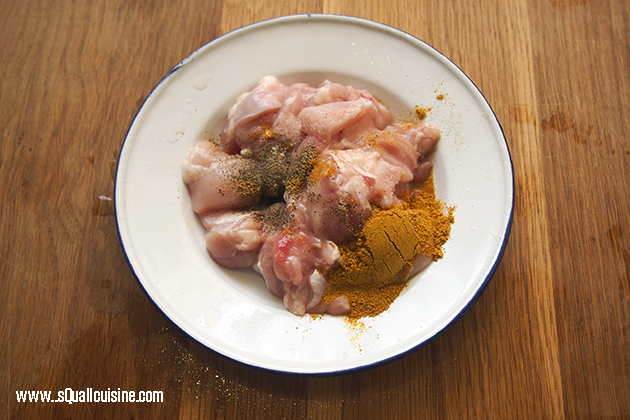 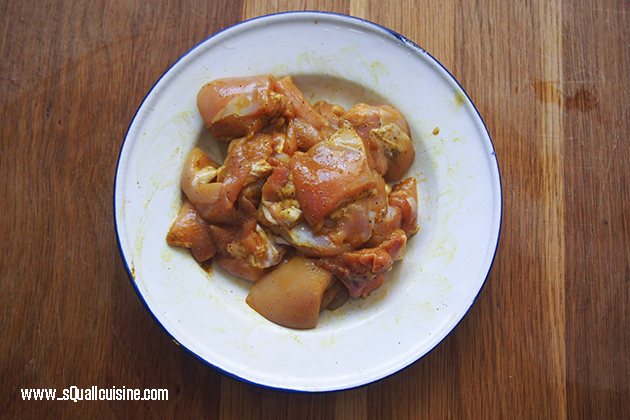 In a mixing bowl, mix chicken, curry powder, pepper and salt until well combined, keep in refrigerate and marinate for 2hours. 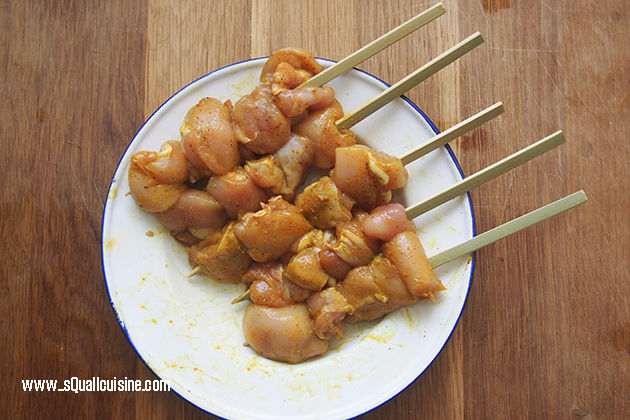 Insert the wooden skewers through the meat lengthwise. 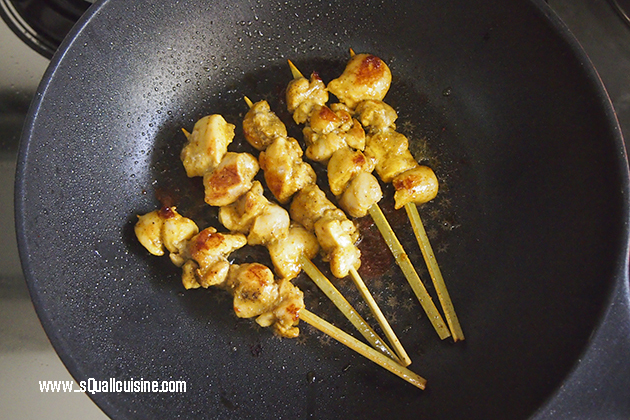 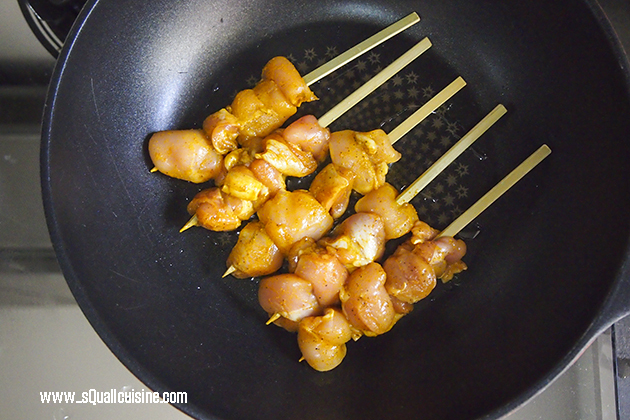 Brush grill pan with some oil, grill the Sate until desired tenderness. 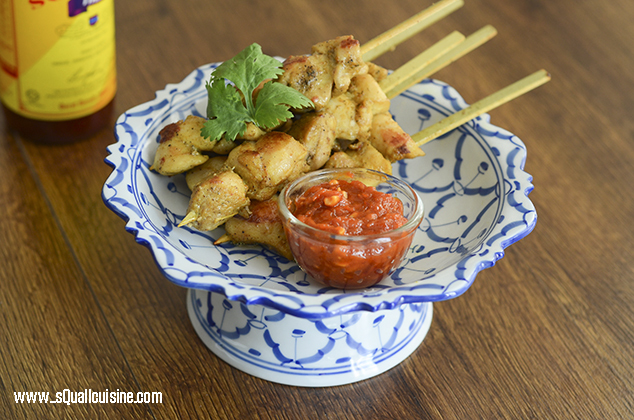 This entry was posted in 泰式料理 Thai cuisine on August 20, 2016 by admin.